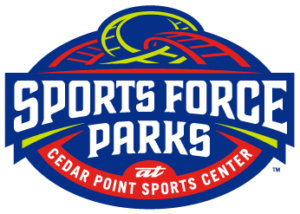 Guest Experience/Retail Team Member – Sandusky – Sports Fields Inc.
As a successful Guest Experience/Retail Team member, you will support all operations for events including Baseball/Softball/Soccer/Lacrosse tournaments at Sports Force Parks at Cedar Point Sports Center. This individual is responsible for providing exceptional customer service and hospitality to all guests throughout the park. This individual understands that they have the ability to impact the guest experience including support to other team members with enforcement of park rules and regulations, maintaining order, and ensuring safety to all park guests. Customer engagement at Ticket Area, Front Gate, Retail Shop (Locker Room), Attractions ticket sales and/or Customer Relations Management (CRM) engagement. Greet, process customers’ orders at a point-of sale, quickly, efficiently and friendly. Recognize valid admission tickets, passes, or other appropriate admission credentials and allows entry to authorized individuals. Assist customers in assigned areas to meet their needs and offer recommendations based on the programs and selections offered. Enforce park rules and regulations in assigned area of responsibility. Assists other staff in enforcing general rules and regulations, maintaining order, ensuring safety, and providing quality customer service to the stadium tenants, employees, and guests. Receive and quickly act upon requests or complaints from guests; refer serious concerns to supervisors. Accompany guests into the front office for a warm transition to receiving assistance. Maintain an extensive knowledge of the ballpark, and provide quality directions to guests regarding seating, concessions, and essential areas within the park. Assist in evacuation of the ballpark, in the event of an emergency, while maintaining professional and calm demeanor. Support the operations of the business including Park opening and closing procedures, cash controls and all other functions in operating a customer service based environment. Provide exceptional customer service to customers on-site throughout the duration of the tournament/event and offer support during other programming events at the park. Ability to provide exceptional customer service skills; ability to adhere to Company’s Service Standards. Cash handling or check out experience is preferred but nor required. Ability to operate personal computer, including ability to effectively use scanning equipment. Willingness to work long hours and weekends seasonally as the business requires. May be asked to routinely lift items of weight up to 30 lbs. to accomplish job duties. Must be able to work well in a fast-paced environment in large, crowded areas of outdoor park. Routinely exposed to extreme hot/cold weather conditions.